Offering a variety of choices, ‘The Orbis Hotel’ in Hope College, Coimbatore has something special for everyone. 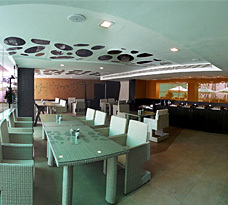 We serve some of the best local and international dishes at our famous restaurants in Coimbatore. The hotel also features a sophisticated bar ‘Pitstop’ which will be opened shortly. Dewz Restaurant is a combination of wonderful array of dishes, fresh and best quality produce, excellent skills and knowledge of our resident chef, the friendly service and the beautiful garden view that makes the Dewz Restaurant special. Dewz features à la carte options as well as fanciful buffets. With a wide variety of delectable dishes, we offer wide spread of vegetarian and non-vegetarian options as well as a selection of tasty breads. With a sophisticated but casual atmosphere, this is the ideal spot to meet up with colleagues or mingle with friends. 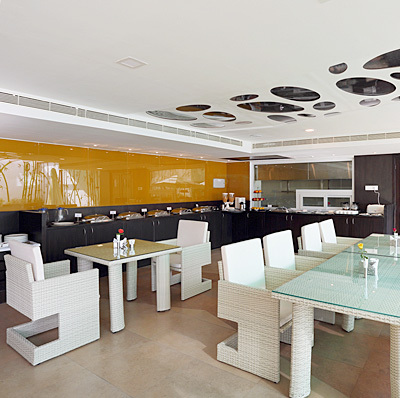 ‘The Orbis’ hotel’s Dewz Restaurant features an extensive buffet featuring a range of food items selected from the best of South Indian, North Indian, Chinese and Continental cuisine. 'PitStop' is an incredible cars inspired bar of ‘The Orbis’. 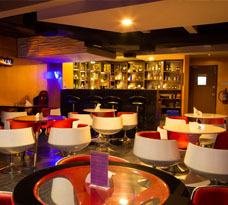 It offers a cool cocktail bar whipping some amazing concoctions; you'll experience one of the most riveting experience in the area. You'll love our mouth-watering menus, serving everything from simply great pub food to the finest A La Carte cuisine. Unforgettable gastronomic experiences in a refined environment, designed with taste, where luxury, sophistication and utmost quality is always on the menu. Give us call today and make your reservation, we'll make sure your dining experience is exceptional, and you too will agree.